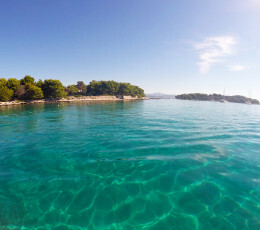 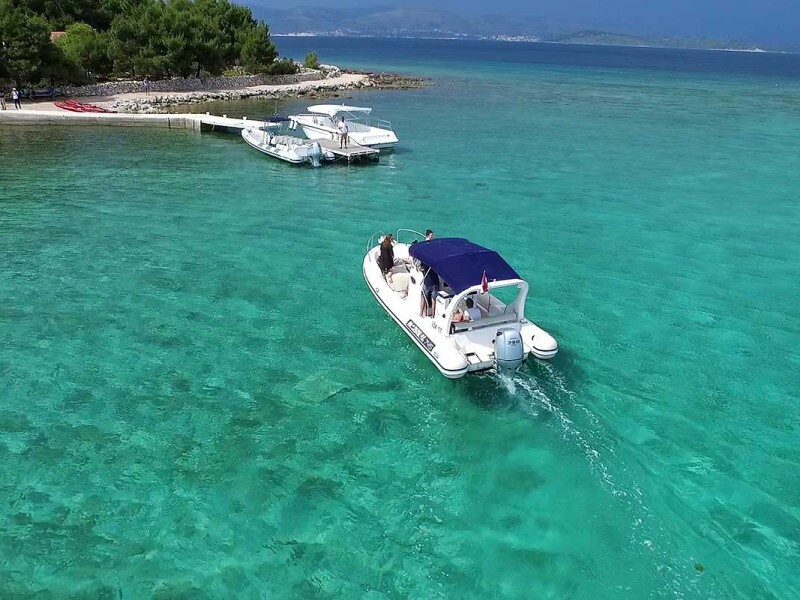 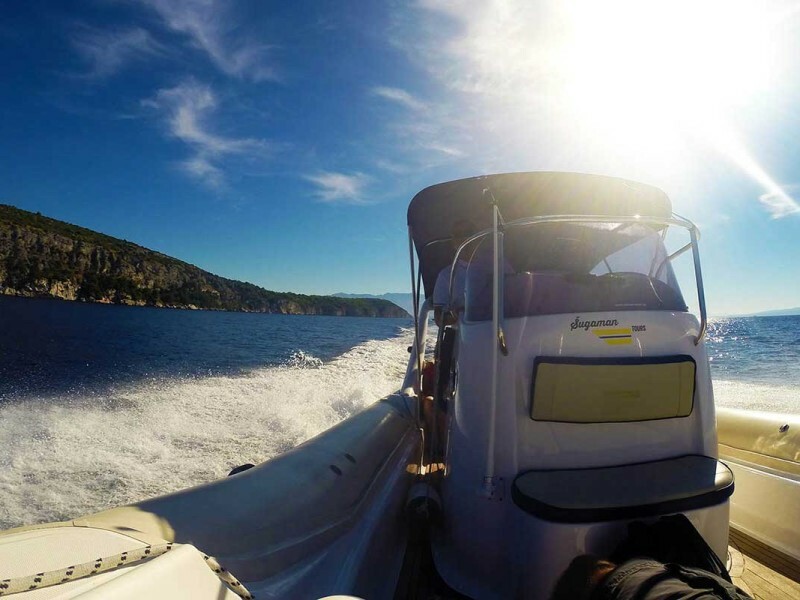 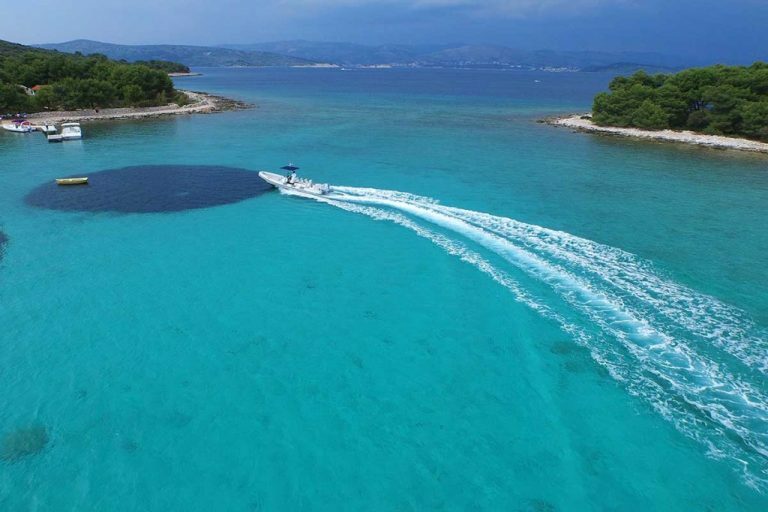 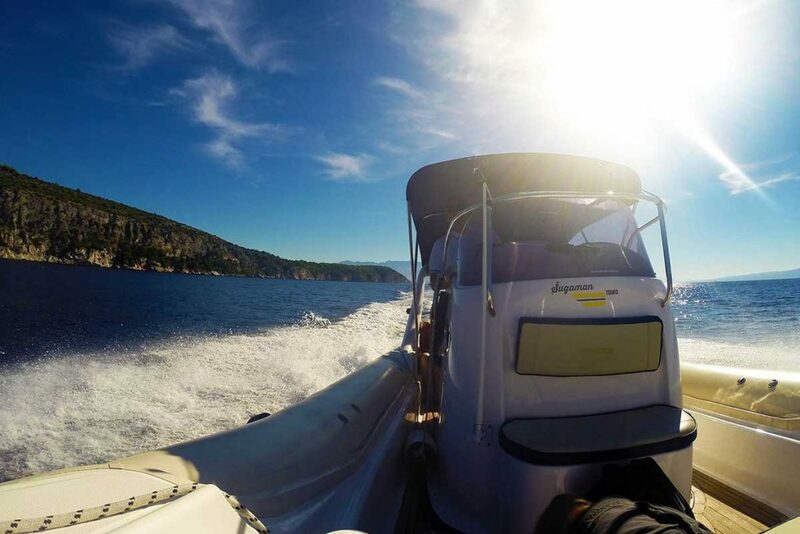 Explore the most of central Dalmatia in one-day speedboat tour. 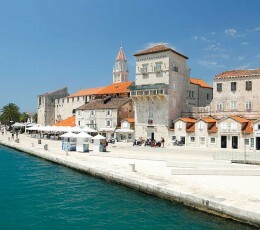 Combine culture and history with relaxing and sunbathing while soaking up the sun rays in azure sea of Adriatic. 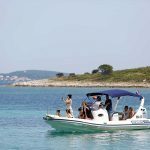 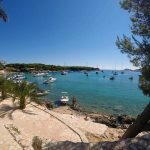 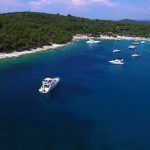 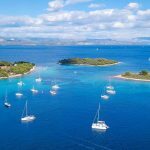 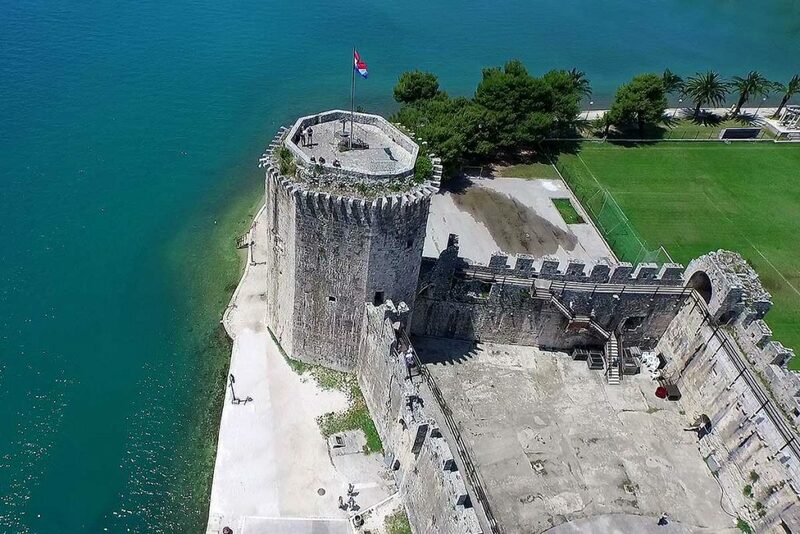 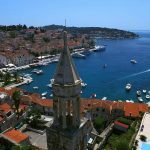 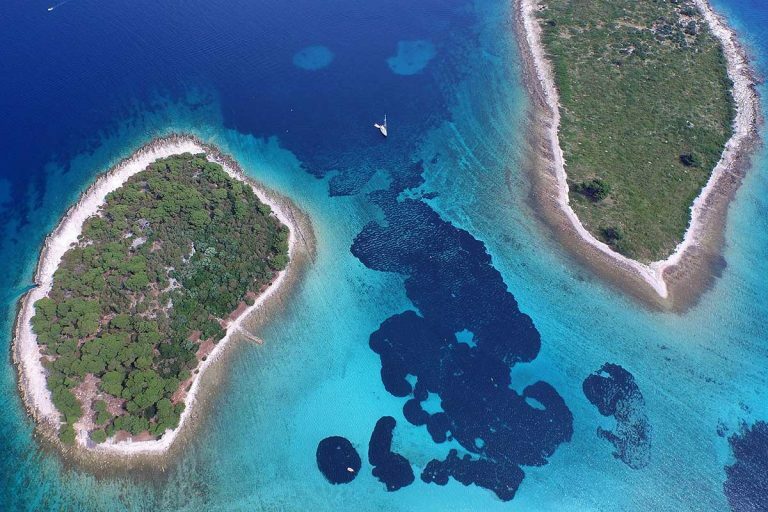 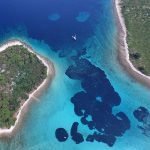 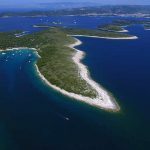 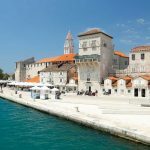 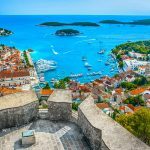 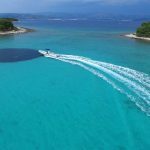 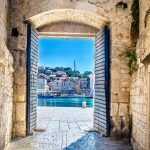 This island hopping tour from Split is created so that you can enjoy in the most beautiful locations on Split islands in a single day. 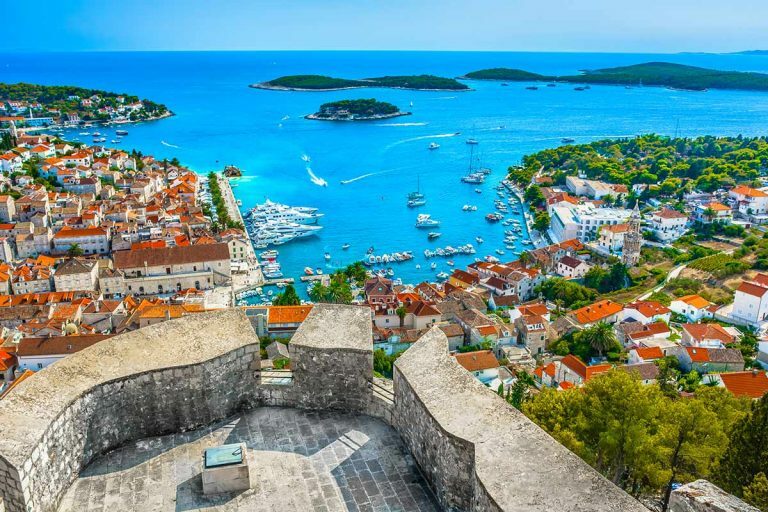 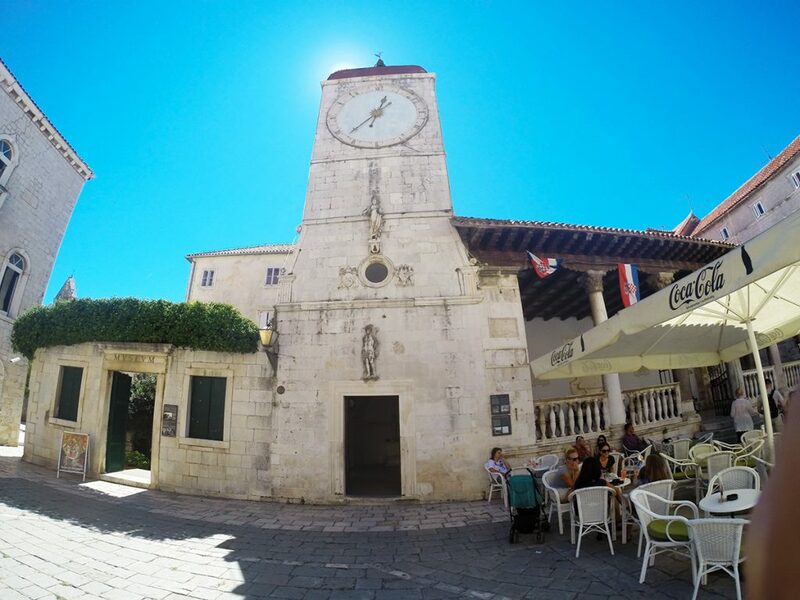 You will have 2 hours to explore Hvar town, swim in the crystal waters of Pakleni islands archipelago, taste local cuisine on island Solta, experience the beauty of Croatian Blue Lagoon and finally sightsee the most picturesque town on the coast, old town of Trogir. 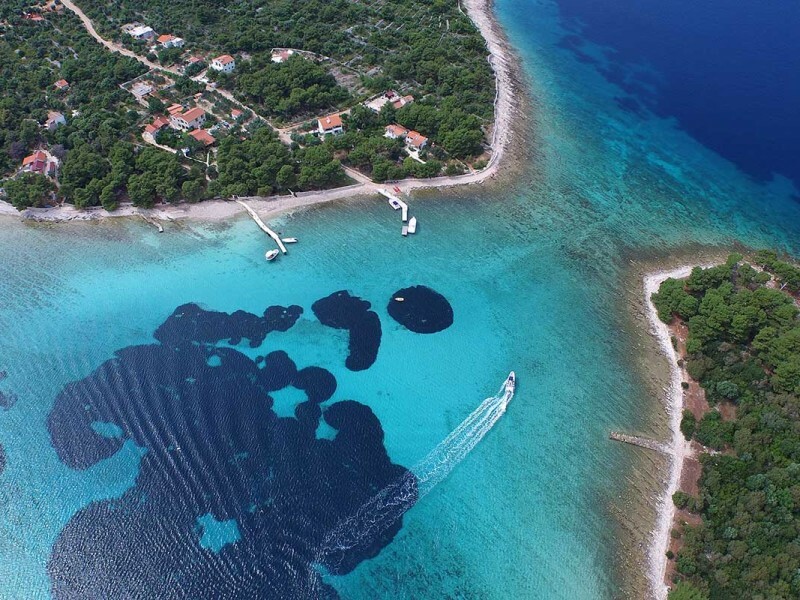 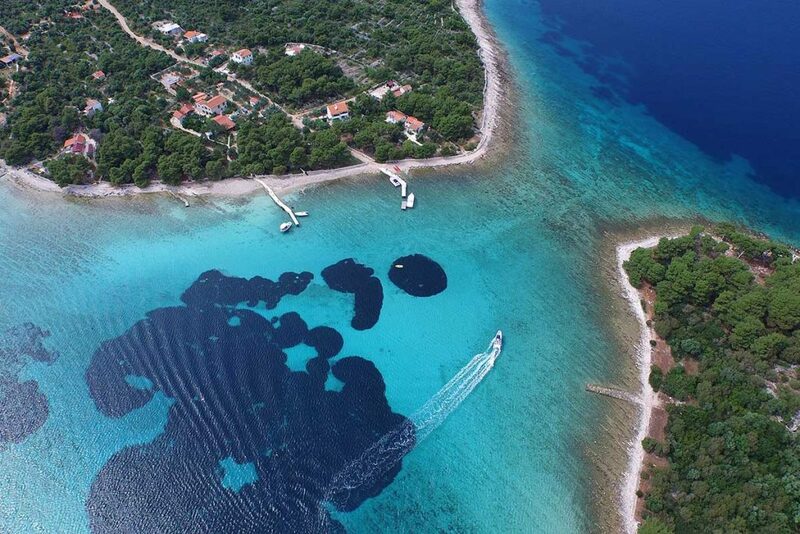 Dive into Croatian culture and discover one of the most popular islands in central Dalmatia. 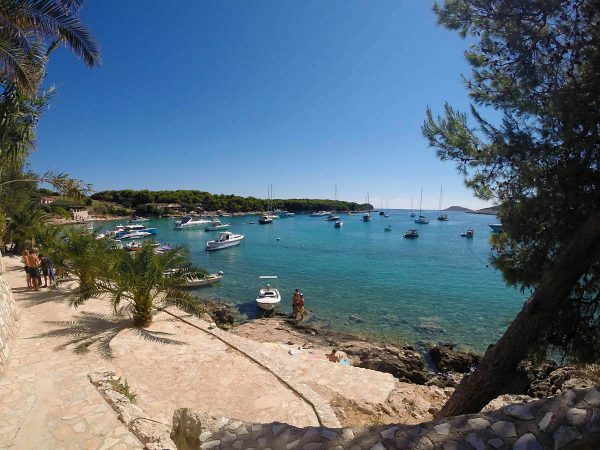 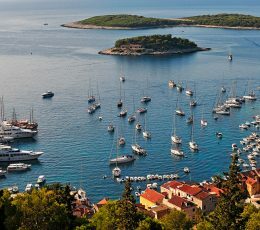 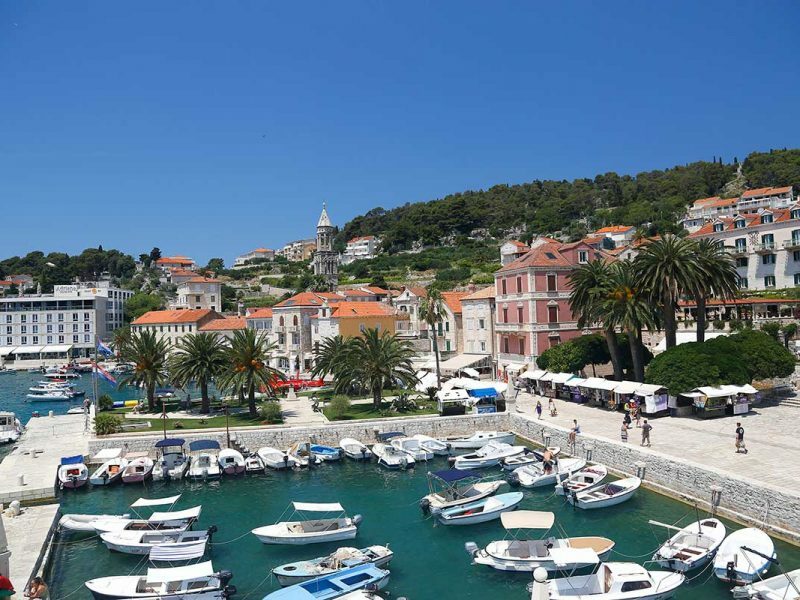 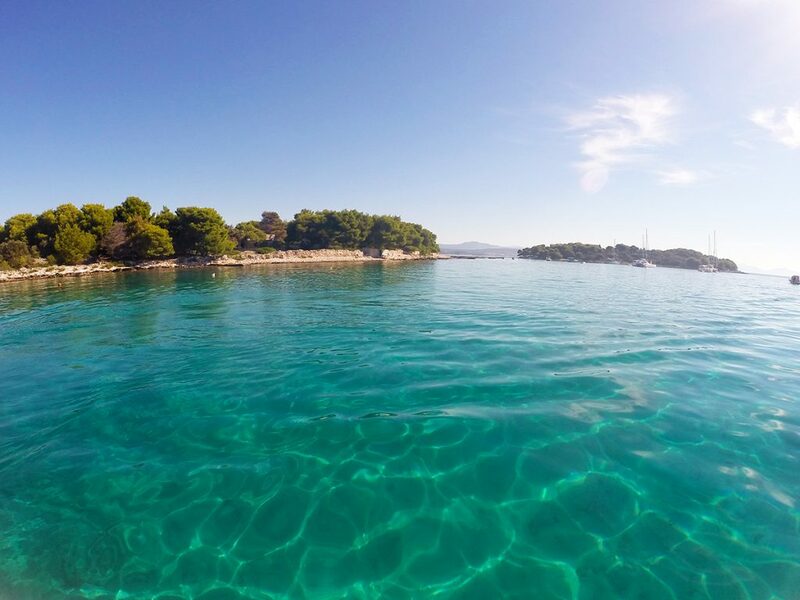 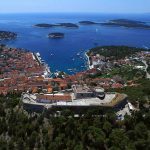 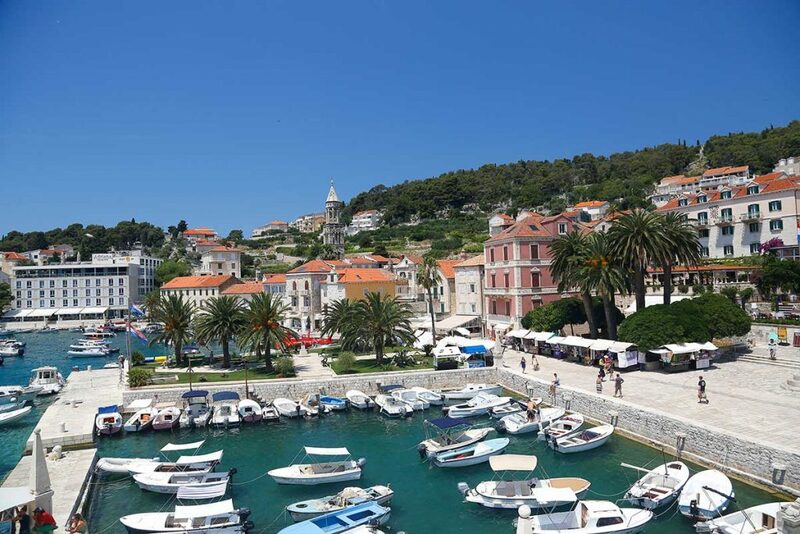 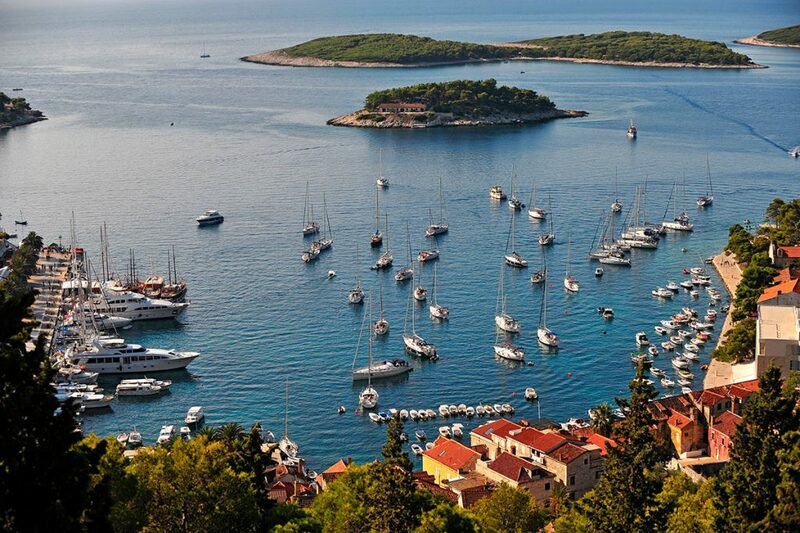 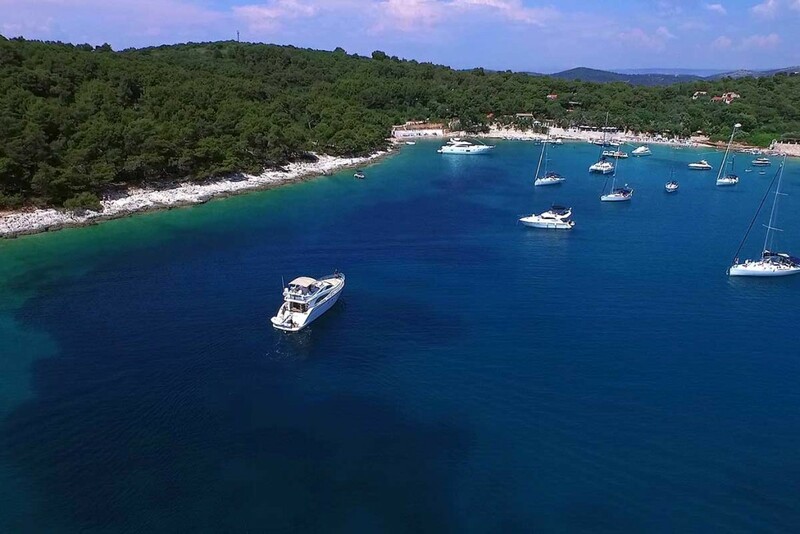 Croatia’s sun splashes Hvar island with more than 2.500 sunny hours per year and make it perfect summer destination. 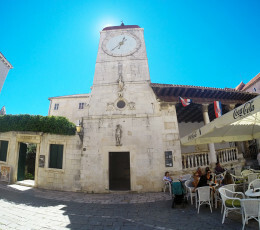 Wonder around old buildings, find the oldest theatre in Europe and drink cocktail in one of numerous waterfront bars. 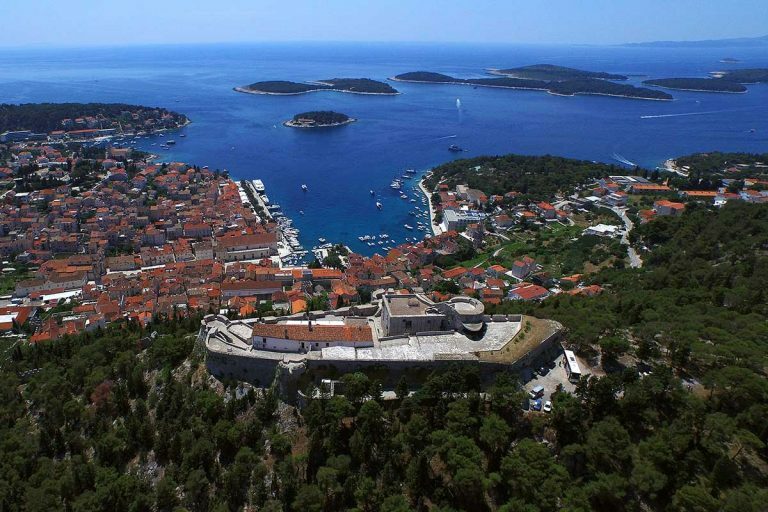 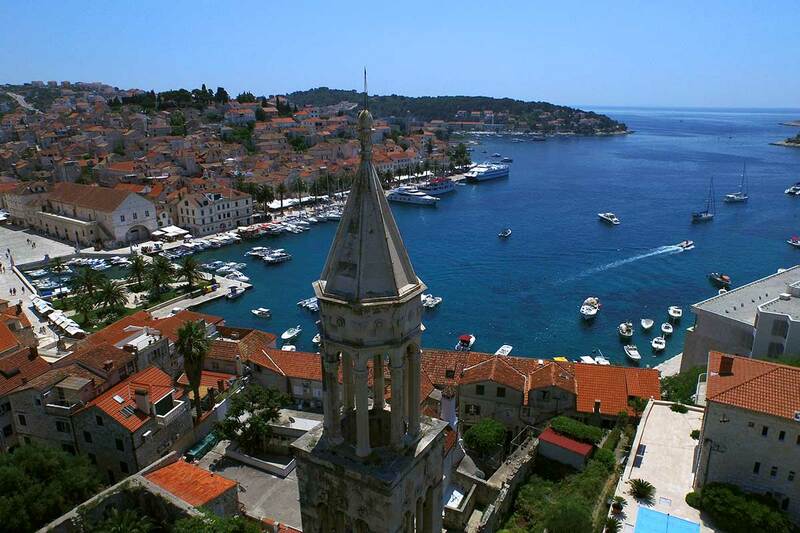 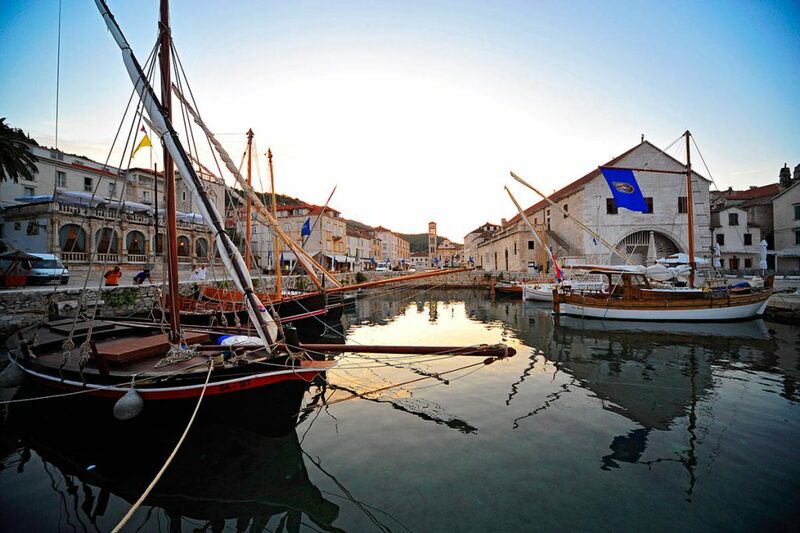 Because of its architecture and beautiful landscape, Hvar is a perfect place for spend 2 hours of your free time. 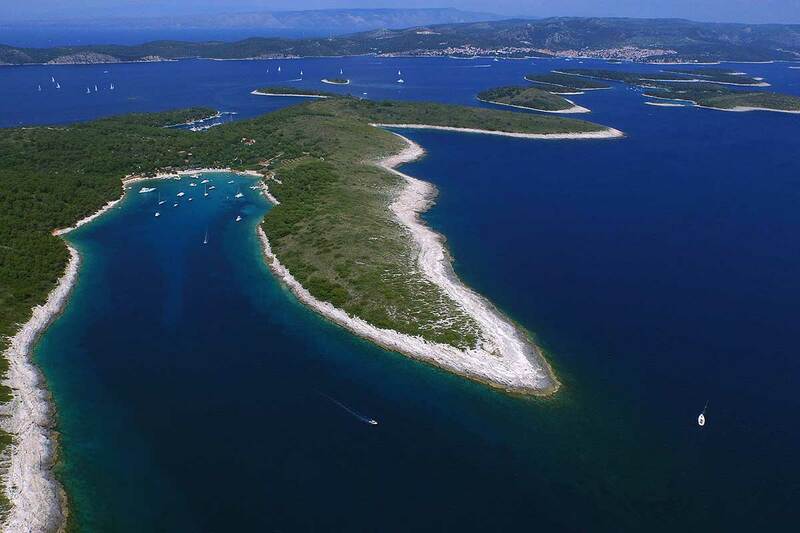 Visit Pakleni islands, a collection of dreamy islands rising out of the depths of the ocean in interesting shape. Grab snorkelling equipment and immerse with nature and incredible clear Adriatic Sea. 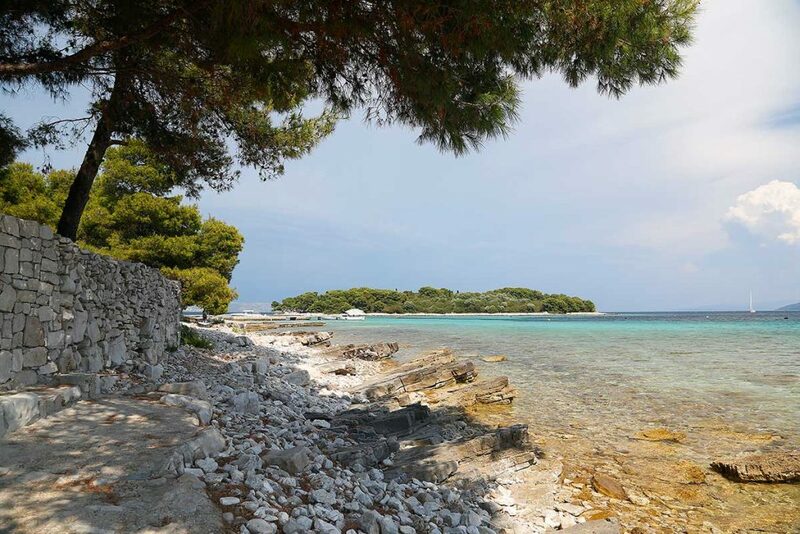 Chill under the green pines and enjoy crickets sound. 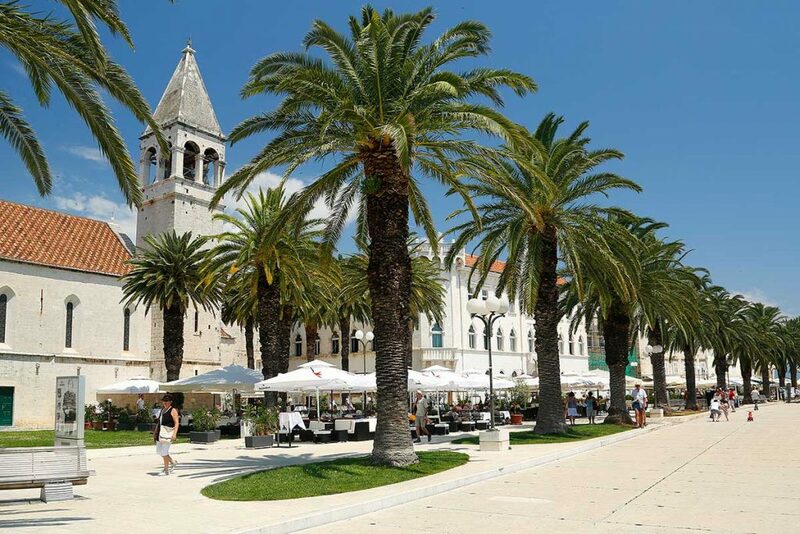 Have a lunch break in welcome shade of Šolta island on a steamy hot day. 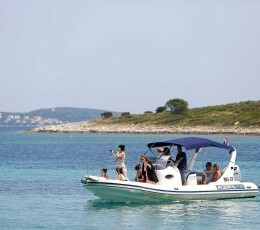 Taste delicious Dalmatian plate or fresh sea food before jumping again in Adriatic Sea. Find your piece of heaven on this colourful island before jumping on board again and explore Dalmatian coast. 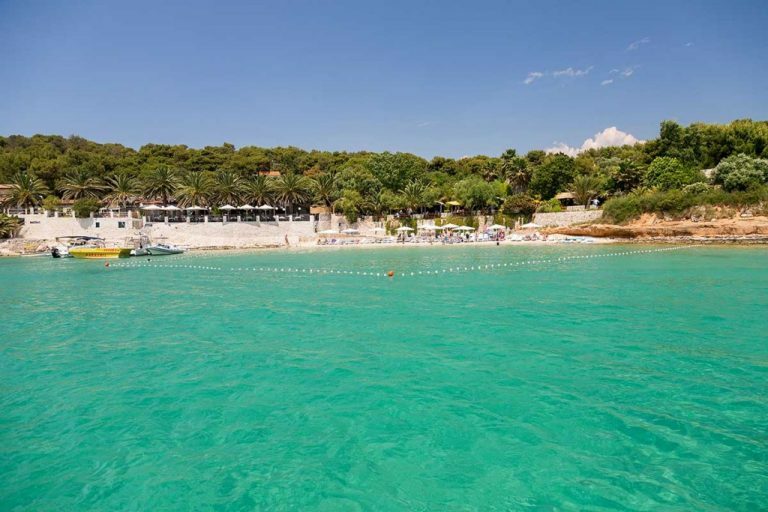 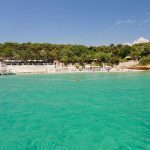 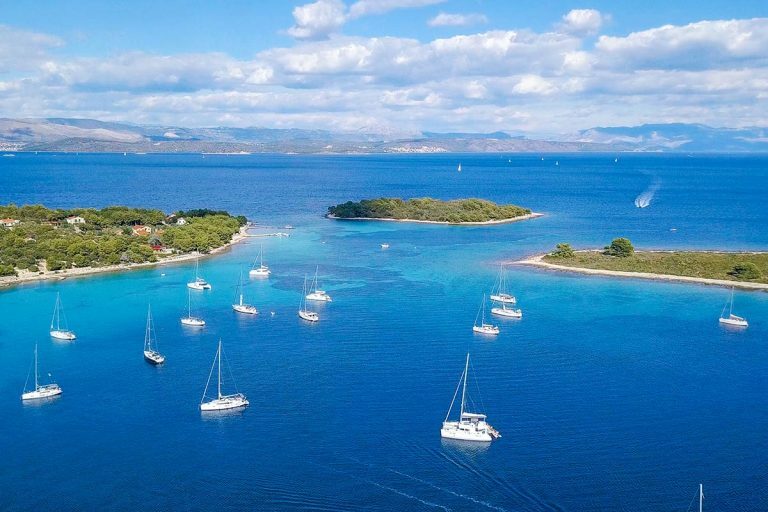 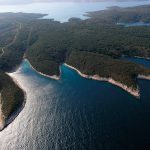 By far one of the most alluring features in central Dalmatia is the sparkling turquoise sea surrounded by 3 uninhabited islands, just 30 minutes away from Split. 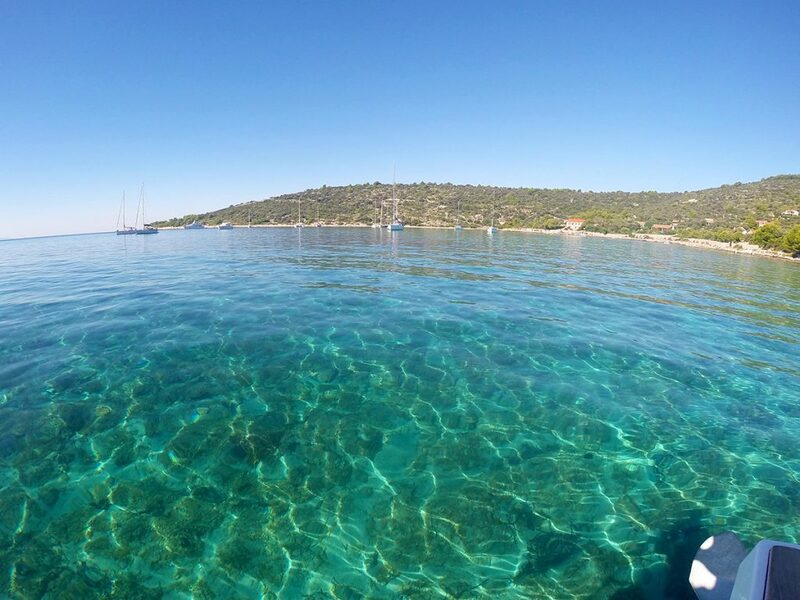 Explore underwater and swim in crystal clear sea ranging from deep blue to all imaginable shades of perfect – azure, ultramarine and sea green. 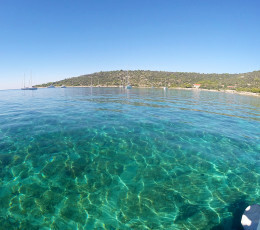 Glide through the depths of the sea while snorkelling and admire stunning mix of emerald sea and white seabed. 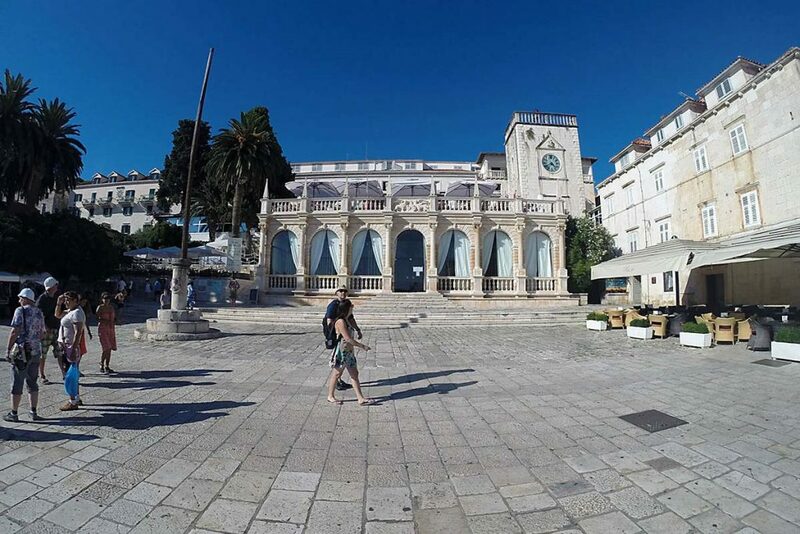 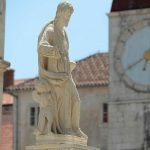 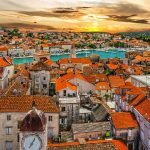 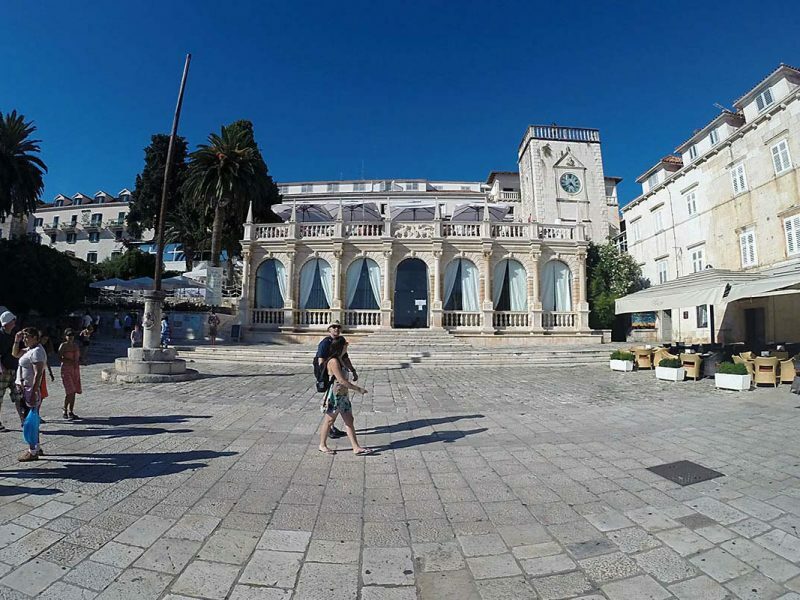 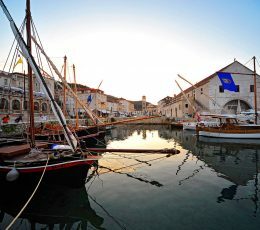 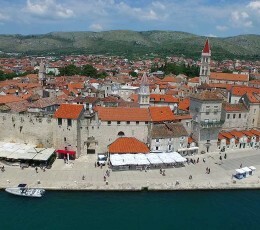 Finish your day in unique town of Trogir. 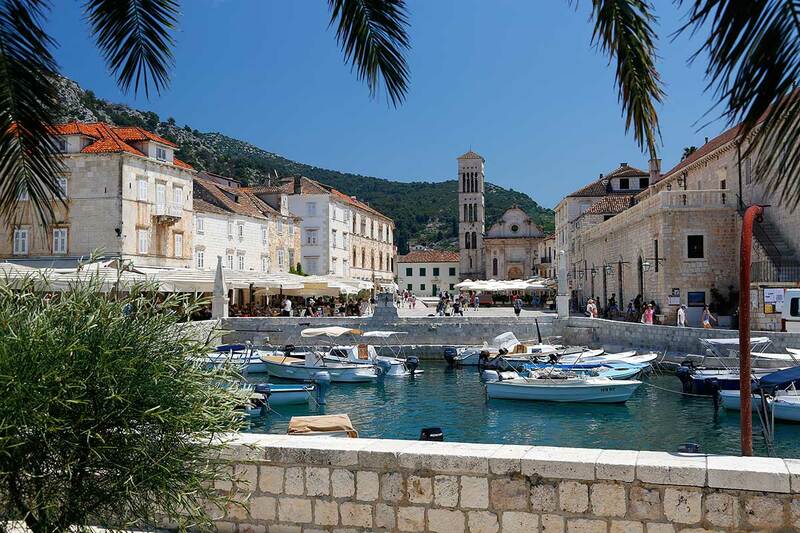 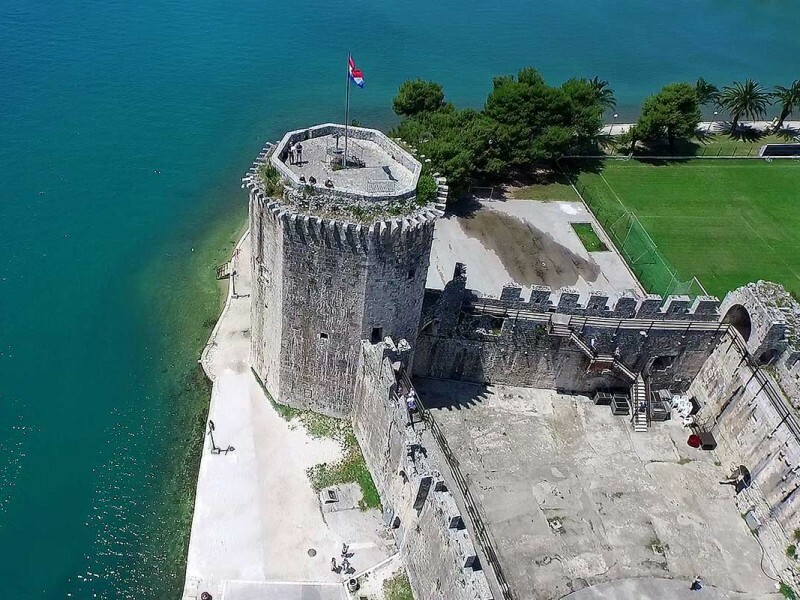 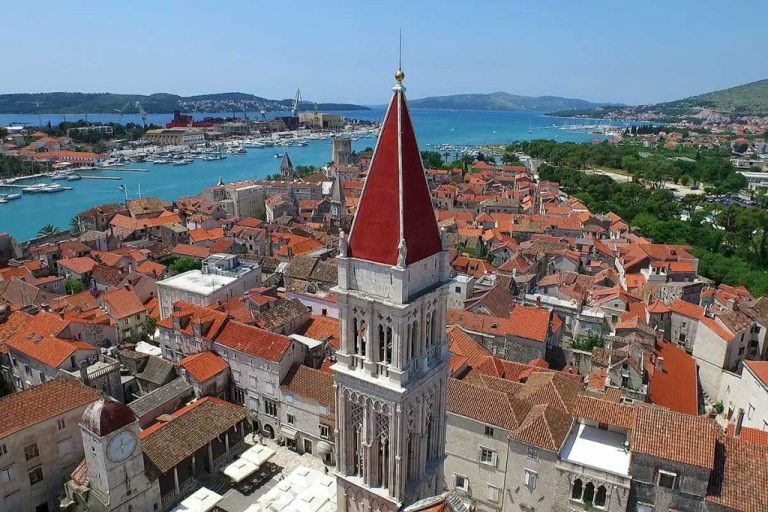 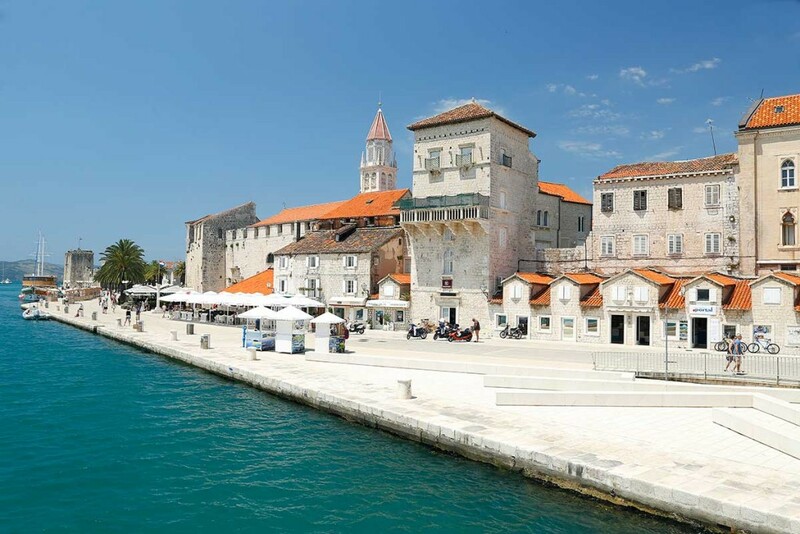 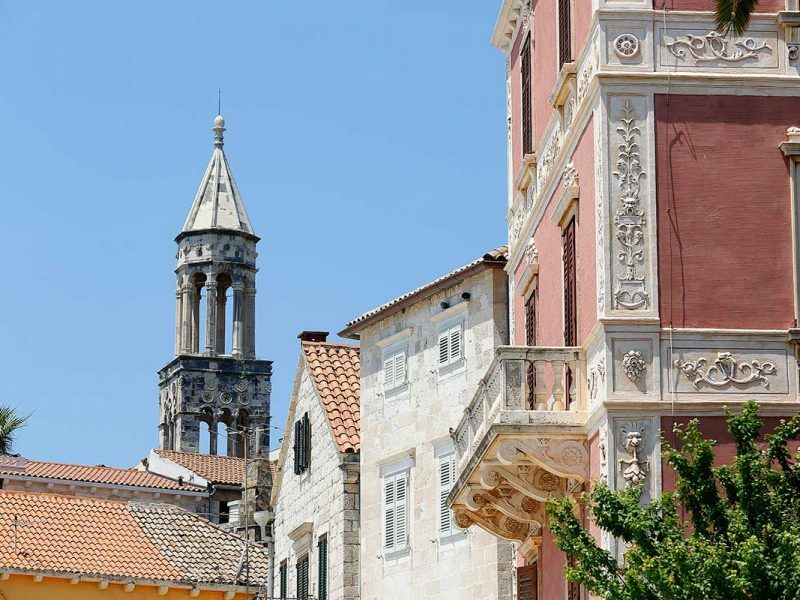 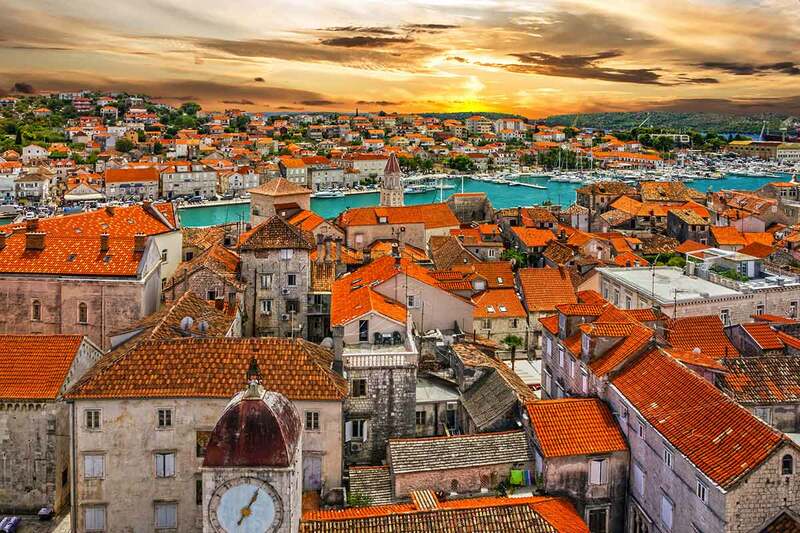 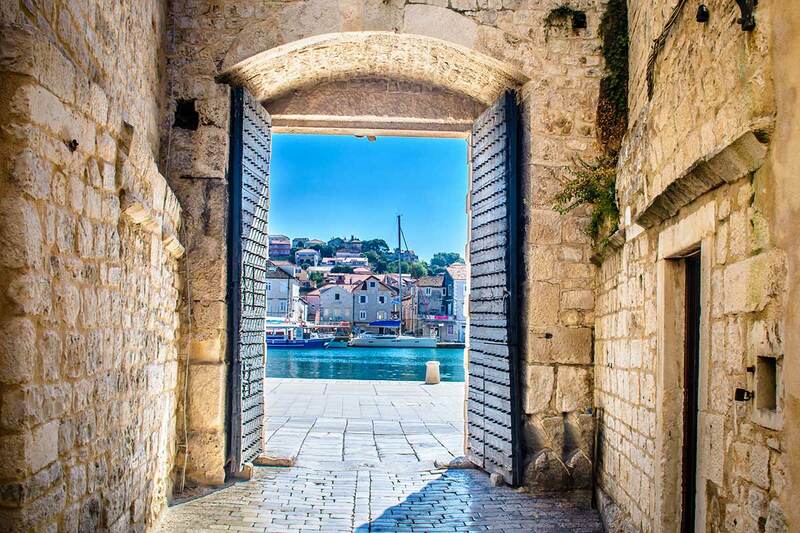 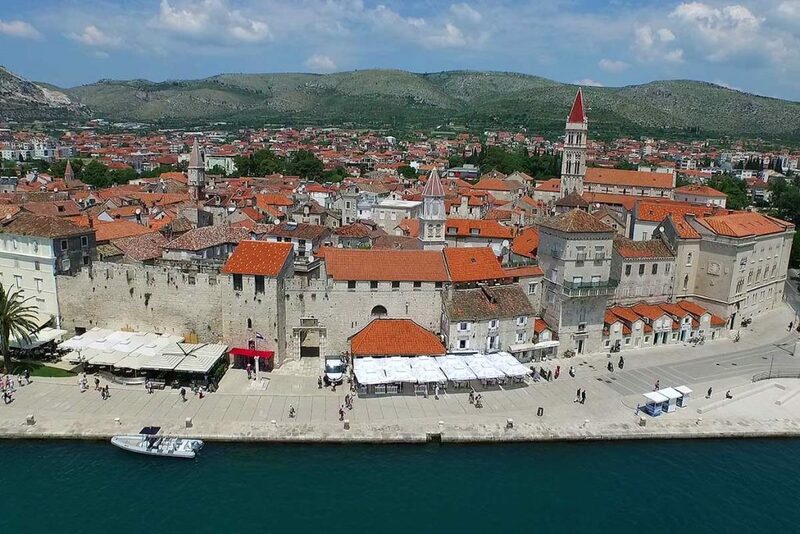 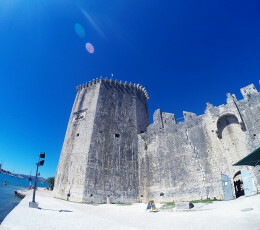 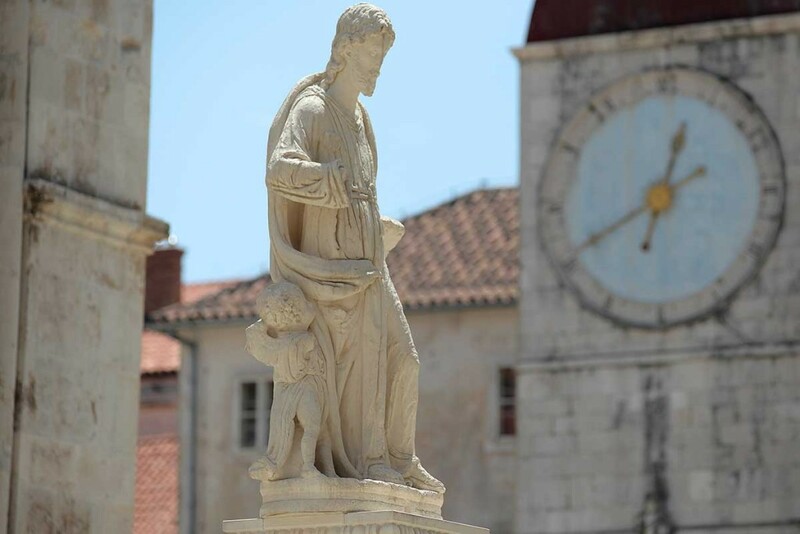 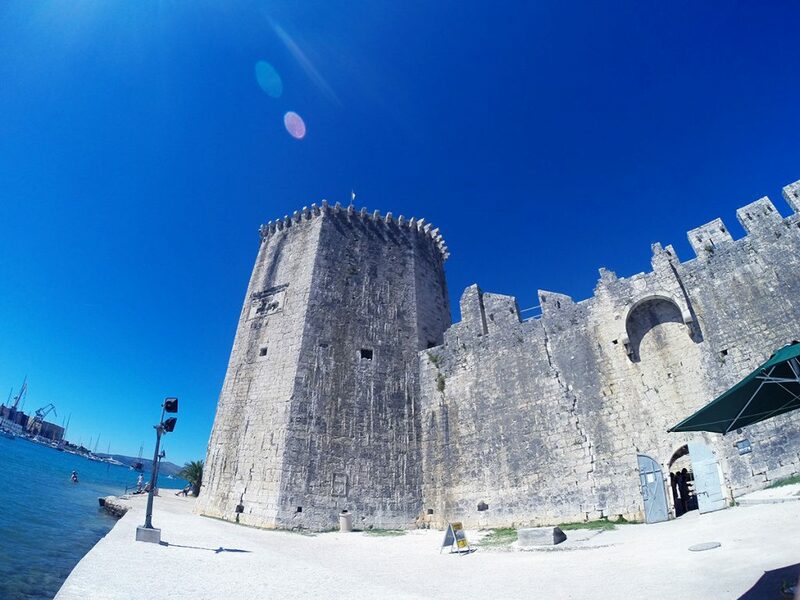 Located on its own island, Trogir’s city center is perfect for end this cultural rich journey. 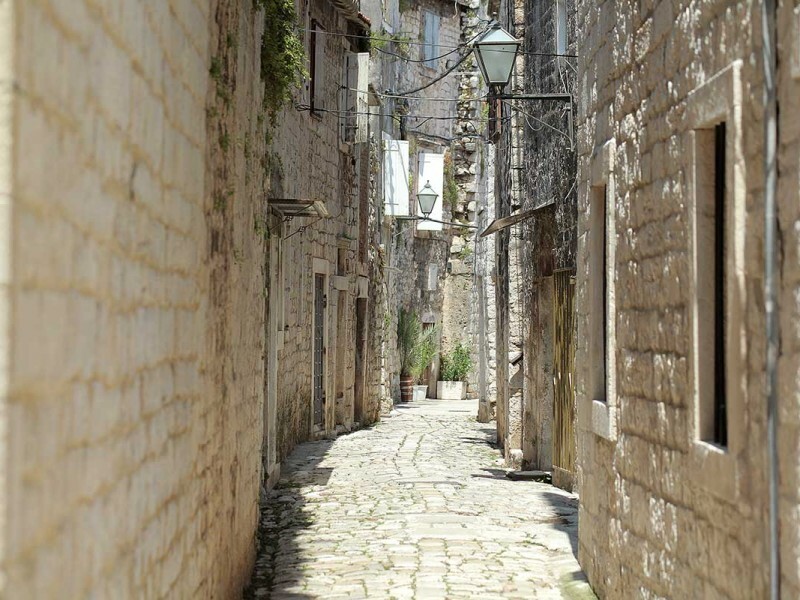 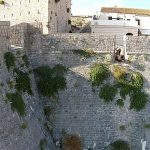 This beautiful medieval town is steeped in history which dates back to the Greeks and Romans. 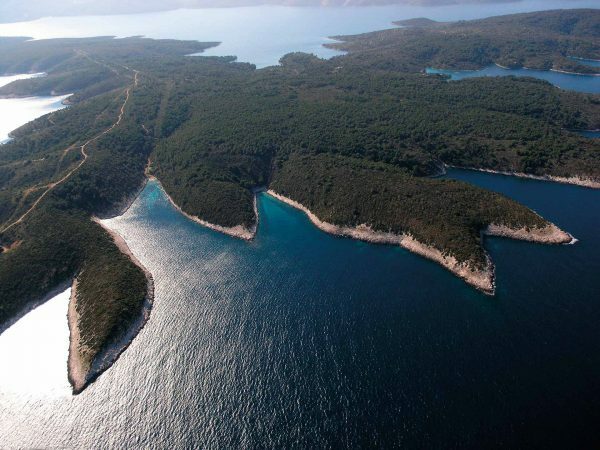 It is UNESCO protected place and definitely worh of our admiration. 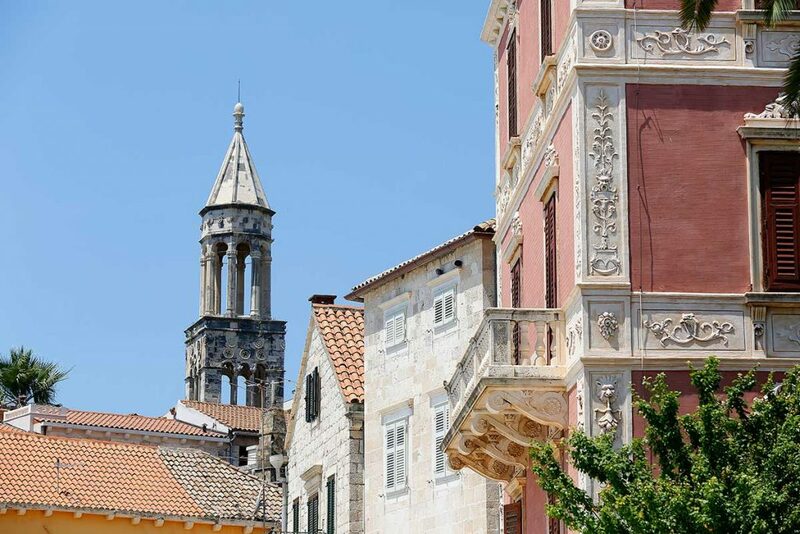 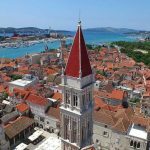 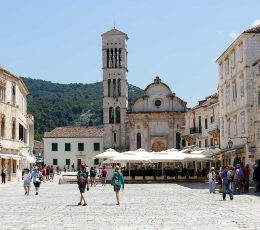 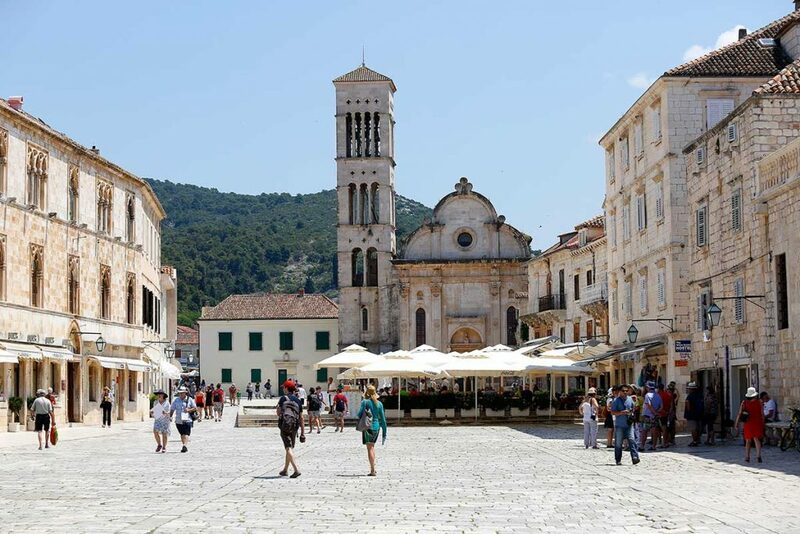 Numerous of bell towers, castles, churches and museums are waiting to be explored before return in Split. The tour is not recommended for pregnant women, people in wheelchair and participants with serious back problems. 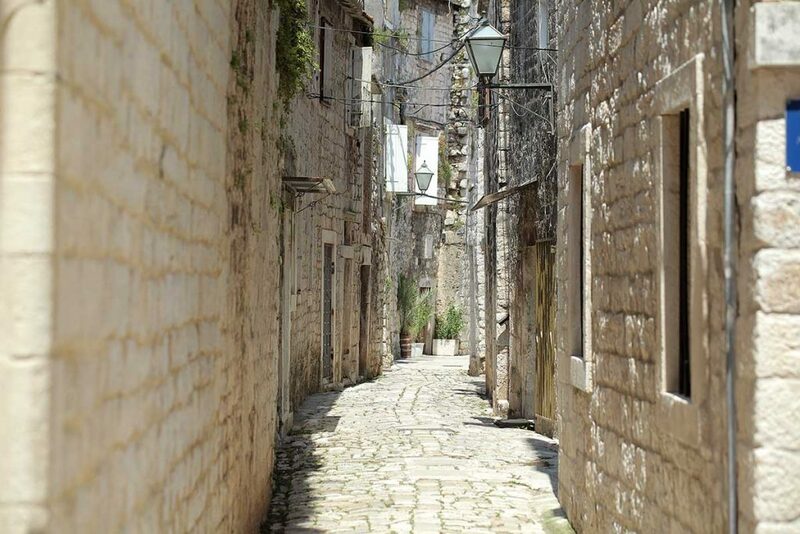 Dress code is smart casual. 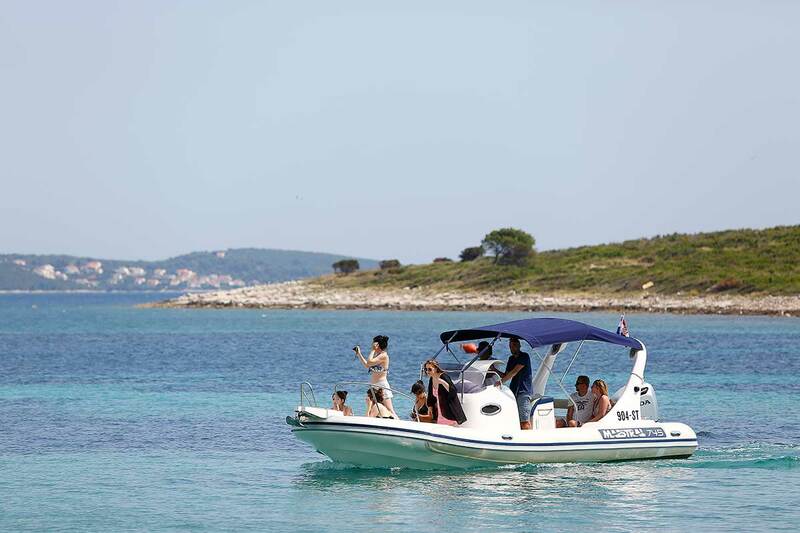 Please wear your swimsuit, bring your beach towel, sunglasses, sunscreen and hat.